We compared a neural measure of visual attention (ssVEPs) to a reaction-time-based measure of the anxiety-related threat bias (TB). We found no correlation between these two measures, suggesting that they may index independent components of TB. Further research is needed to determine whether ssVEP indexes threat-related processes in anxiety that are not captured by reaction time measures. We examined the role of engagement and anxiety in optimizing attention bias modification training (ABMT), a promising novel treatment for anxiety. Higher engagement was associated with reduced anxiety before ABMT, and reduced difficulty disengaging from threat post-ABMT. Findings suggest that engagement may enhance ABMT efficacy. Individual and contextual influences on the flexibility of attention during attention bias modification training (ABMT) for anxiety. We were primarily interested in quantifying training gains for either training towards or away from threat over a brief single session of ABMT following exposure to either a stressor or control condition in a large group of healthy adults. We found that both baseline threat bias and threat bias reactivity to a stressor were associated with training gains, which suggests that they may serve essential roles in the flexibility of attention during training. Findings highlight the role of individual and contextual differences when identifying whom ABMT would be most effective for. Denefrio, S., Cho, H., Yap, D., & Dennis-Tiwary, T. A. (2017). Individual and contextual influences on the flexibility of attention during attention bias modification training (ABMT) for anxiety. Poster presented at the Annual Convention of the Association for Psychological Science, Boston. The Impact of Stress on the Assessment and Cross-Task Convergence of Threat Bias. We examined common tasks used to measure different stages of attention to threat in a healthy sample of young adults. We found that one task sensitive to later stages of attention predicted trait anxiety, whereas a second task targeting early attention processes predicted situational change in attention as a result of stress. These findings imply that a variety of tasks should be used to measure all aspects of attention to threat and how it relates to anxiety. We examined the impact of social context on neurophysiological (EEG) measures of emotion regulation (ER). Results showed that children’s ER flexibility was bolstered by the presence of or interaction with the parent. In addition, greater ER neural flexibility was associated with greater child empathy. Myruski, S., Birk, S., &amp; Dennis-Tiwary, T. A. (2017, May). Social context influences a neurocognitive index of child emotion regulation in children. Poster session presented at the Association for Psychological Science, Boston, MA. We examined links between RSA and spontaneous child emotion regulation (ER) behaviors during an emotional challenge. Vagal flexibility predicted more effective ER strategy use, as did greater parent-reported child ER abilities and well-being. Findings support previous research by demonstrating links between RSA and child temperament and uniquely, child’s use of adaptive ER strategies during an emotional challenge. Birk, S., Myruski, S., Penney, I., &amp; Dennis-Tiwary, T. A. (2017, May). RSA and child emotion regulation during an emotionally challenging task. 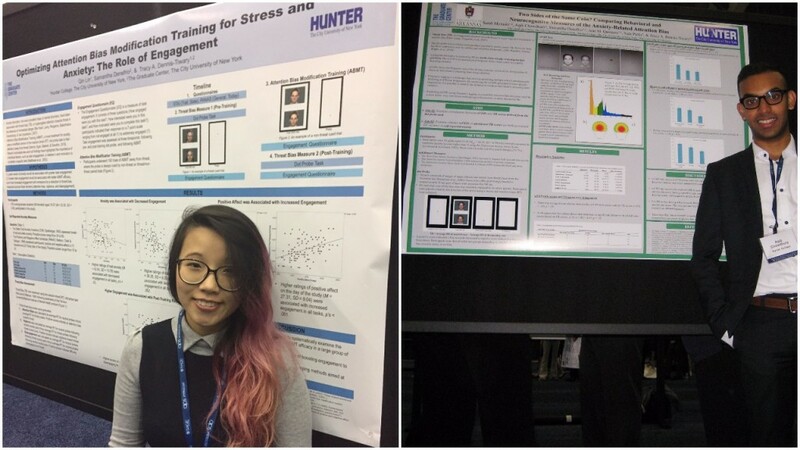 Poster session presented at the Association for Psychological Science, Boston, MA.